International students who wish to study in the USA have the permission to study on Student Visa. So, these students can do that under the two non-immigrant visas- F1 and M1. To be enrolled in an educational institution in the US which is approved by the Student and Exchange Visitors Program, Immigration and Customs Enforcement, proficient in English, have sufficient funds to support himself / herself during the whole period of studies, etc. Once you acquire the F1 Visa, you will have various employment opportunities coming your way. The work options with an F1 visa in the USA are namely On-campus Employment, CPT (Curricular Practical Training), OPT (Optional Practical Training), Off-campus Employment or Severe Economic Hardship and Employment with an International Organization. Beyond these work options, changing the status from the F-1 visa OPT to an H-1B employment visa is a great alternative. 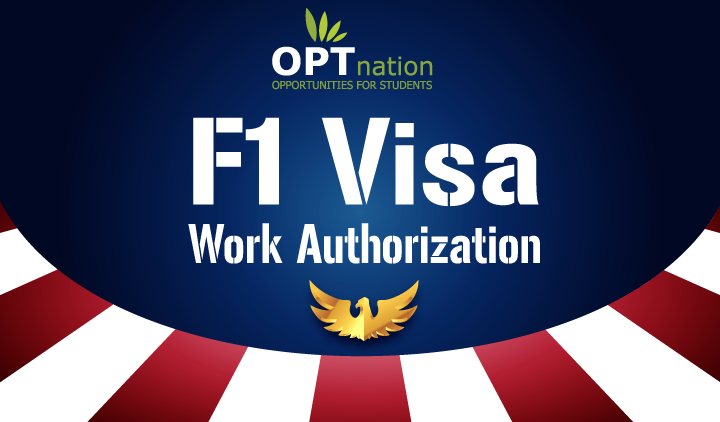 One of the most freely available employment for students on F1 Visa is On-campus employment. It is advisable to get placed on-campus otherwise you might have to struggle to get a job in future if you miss this one bright chance. You must remember that being an international student, each and every opportunity of grabbing any job becomes crucial. You need to be earning to fulfill basic needs. So, while you are studying you can look for job opportunities on-campus and this would include working in bookstores, library, dorm or cafeteria. Or else, you also have the option of working in off-campus research lab that is affiliated with your institute. This is the only type of employment that you’d be able to pursue starting in your first academic year and you may have to apply in advance which would be at least 30 days be before your classes start. You have the advantage of working hourly and just for your knowledge, work hours are limited to 20 hours per week. So, you are given the flexibility to work any number of hours a day but it should sum up to 20 hours as the weekend approaches. If you choose to work on more than a one-campus job, your total combined hours of work doesn’t exceed 20 hours. Curricular Practical Training (CPT) should be a basic part of your school curriculum. It is designed to give you a real-world understanding of your field of study, like an internship or seminar with an associating employer. Unlike other employment categories, CPT can be full-time, with no weekly hour limit. You can also have more than one CPT authorization at the same time. You must acknowledge the fact that if you participate in a year or more of full-time CPT, you are ineligible for Optional Practical Training, or OPT (our next point that you will read after CPT). In order to qualify for CPT, you must have completed one full academic year in your respective university/institute, unless you’re a graduate student whose program necessitates an instantaneous CPT. In any case, the DHS advises seeking your DSO as your very first step in order to avoid last-minute problems. Optional Practical Training (OPT) refers to impermanent employment relating to your field of study (working as a photographer, for example, would qualify if you’re studying a field which includes photography as a subject). Eligible students can receive up to 12 months of OPT employment. Pre-completion OPT: This option is available to you only when you have completed one full academic year at any U.S. college or university. You have to work up to 20 hours per week when school is in session or full time when it is not. Post-completion OPT: You can consider applying for this option only after completing your studies. Those who are approved for post-completion OPT can work either part-time or full-time. As we mentioned before, you would be required to seek permission from your DSO, who will then recommend your application and help you submit it to the US Citizenship and Immigration Services. Do keep in mind that if you participate in both of these, the 12-month maximum work period would be divided between the two. If you decide to participate in 9 months of pre-completion OPT during your time as a student, you would only be allowed to participate in 3 months of post-completion OPT after your graduation. You are only allowed to work off-campus if you completed one full academic year and who have a qualifying economic hardship or an emergent circumstance. In the case of severe Economic hardship, you suffer due to unforeseen changes in your financial circumstances and in order to get help in such situations, you can apply to the United States Citizenship and Migration Services (USCIS) to get authorized to work off-campus. Severe economic hardship includes: Loss of financial support or on-campus employment. To apply for off-campus jobs, you need to get in touch with your DSO (Designated School Official). She/he is the one who holds the authority of whether your application for joining off-campus (as the first part of the application process) will be approved or not. You need to be ready in advance so that as soon as your application gets approved, you have proper time to join the off-campus job in time. International Non-governmental Organizations (INGOs): These type of organizations operate internationally. These include international non-profit organizations and also worldwide companies such as International Committee of the Red Cross, World Organization of the Scout Movement, etc. There comes a time where your F1 visa OPT gets expired. You do not need to panic in such cases as you can easily apply for an OPT to H1B visa extension. Usually, the most of the International students in the USA wish to work in USA after their OPT also so that they could gain high-value work experience relevant to their degree studies. Hence, the H1B visa program is designed for and made available to F1 students to achieve this goal. The H-1B is a nonimmigrant visa for “specialty” workers which allows foreign national to work temporarily in the U.S. in a professional job. In fact, the USCIS even introduced a separate H1B quota (allocation of H1B visas) for International students on OPT. So, that’s about the different employment opportunities that you get. One kind of advice for you is to not mess around with the people involved in the process. They are extremely experienced people and there are strict rules and methods to scan the eligible candidates and let them go ahead with the whole functioning of it. 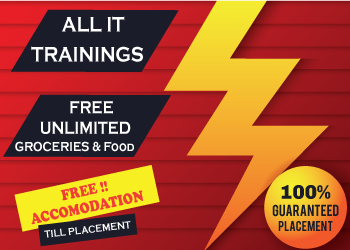 So, do keep the above mentioned points in mind and give this article a thorough reading and also go through the links that we have provided so that there is no chance of making any mistake during the process. Do take it as a serious deal before you decide upon anything. We wish you all the best for your future endeavors. Kudos!